Sometimes we want to send flowers without going overboard. Sometimes less is more. Think elegantly simple, refreshingly uncomplicated. For example, maybe you want to let someone know you have a crush on them without scaring them off with an over the top gesture. Or maybe you want to surprise your partner out of the blue but don't want to send them an enormous bouquet; this might make them think you feel guilty about something after all! 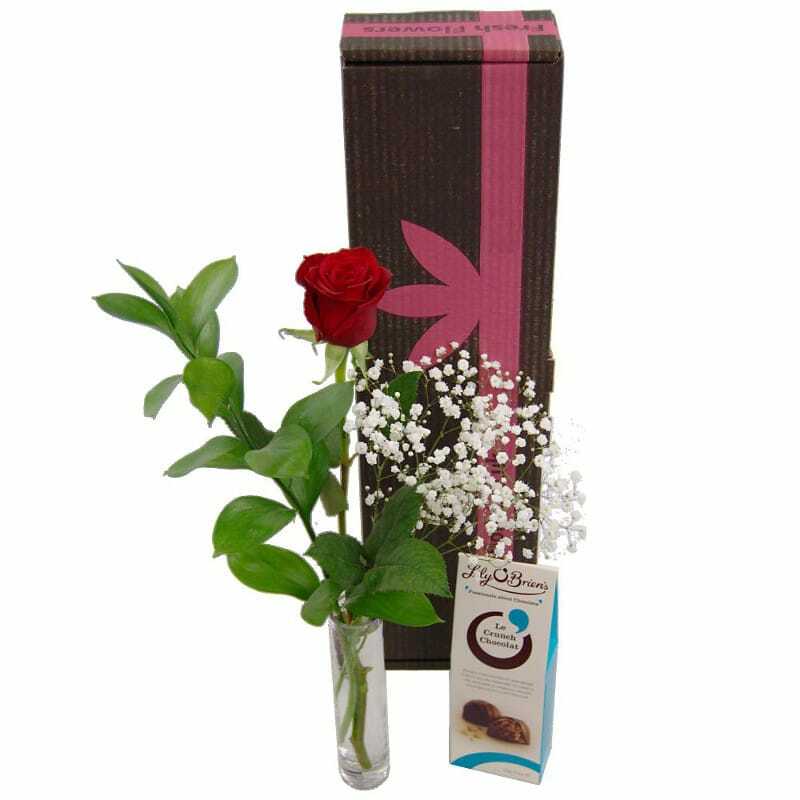 Enter the Clare Florist Single Rose Gift Sets. Sending someone a single rose can make for an undeniably powerful statement. It is evocative of purity & single-minded passion. The minimal beauty of a single rose will also create a bold visual impression. 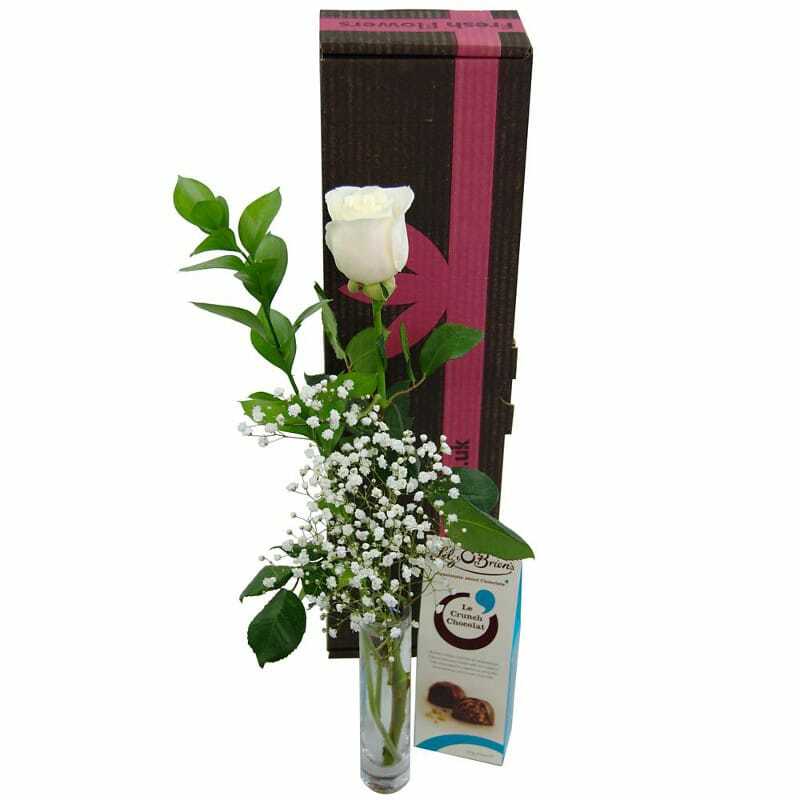 With these Single Rose Gift Sets, you don't only get a high grade, fresh, large head rose. 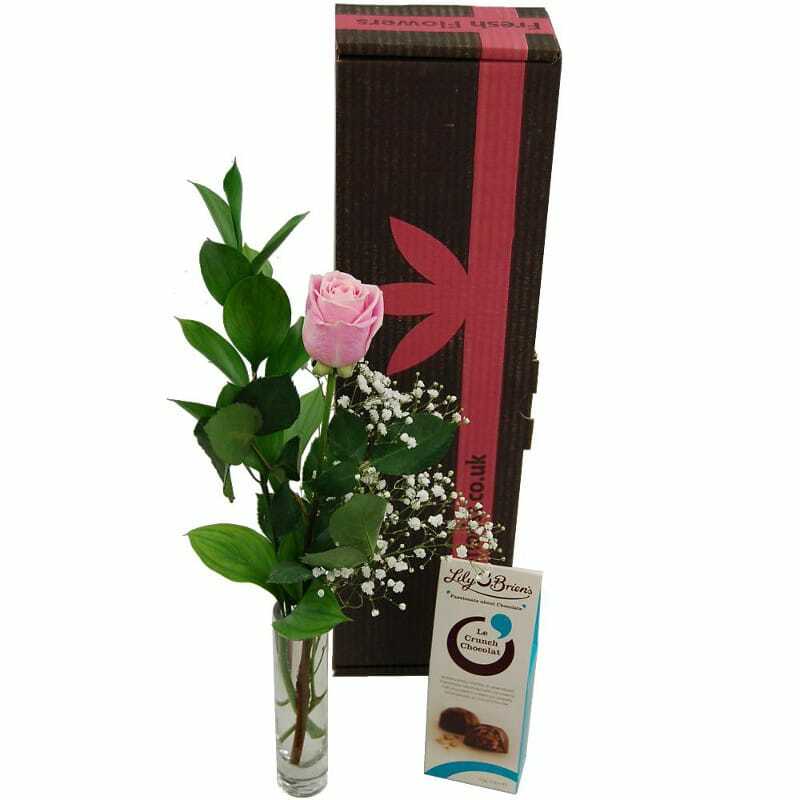 Also included is a box of luxurious Thornton's chocolates, a handwritten card and an elegantly slender, chic glass vase which means you get an incredibly good value gift - affordable yet generous. We have four different colours available - Red, Yellow, White, or Pink. 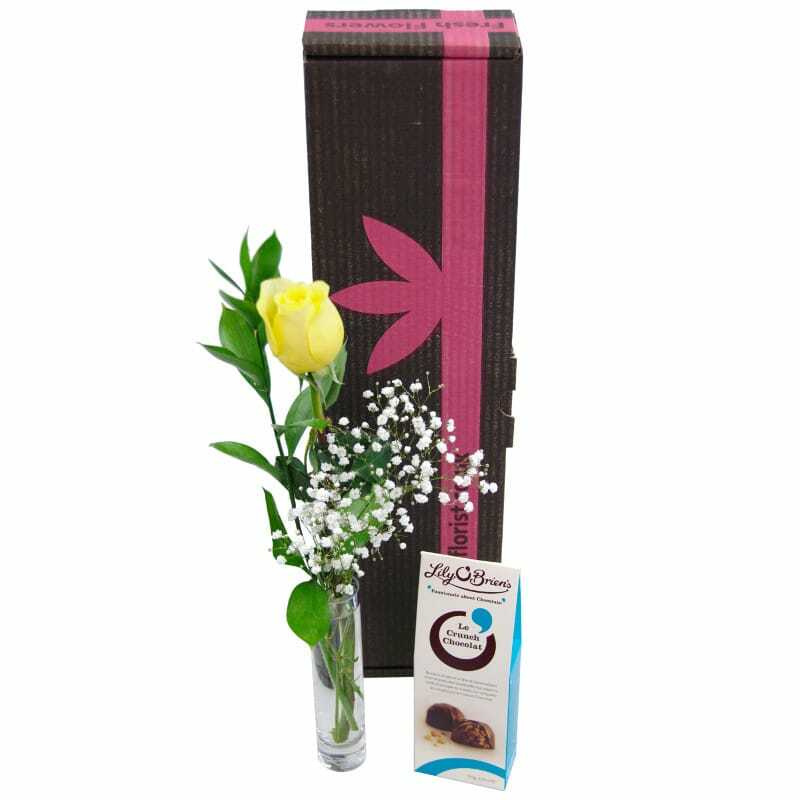 This means that you can select the colour which best suits the intended meaning of the gift or what it is you want to convey to the recipient. For example pink and red usually evoke romantic connotations. White is evocative of innocence and elegance whilst yellow roses tend to conjure up associations with friendship. Let us know which is your favourite colour and why!